The chateaubriand (£20 per 100gm, 500gm minimum) was perfectly cooked to the requested medium rare, tender and boasting with flavour. 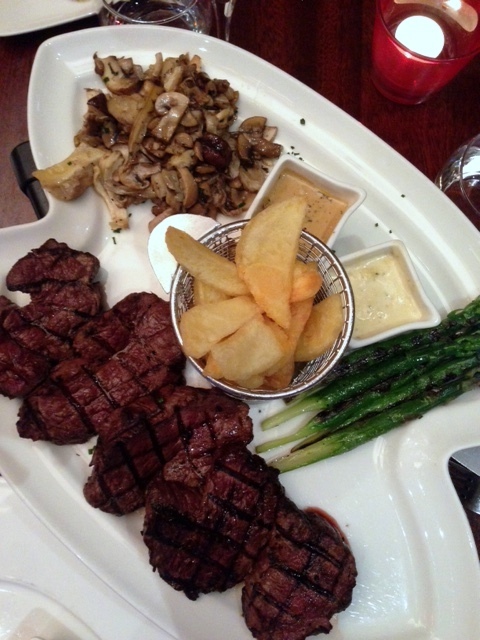 It was accompanied by a variety of sides including asparagus, chips and sautéed mushrooms, all of which were well made. As an extra, we ordered a side of roasted bone marrow (£7.50) to go with the steak. It was an extremely generous portion. Roasted with a sprinkling of breadcrumbs and nicely seasoned, it was rich and unctuous, and went very well with the steak. The beef ribs (£24 – 500gm) in contrast were a little disappointing. 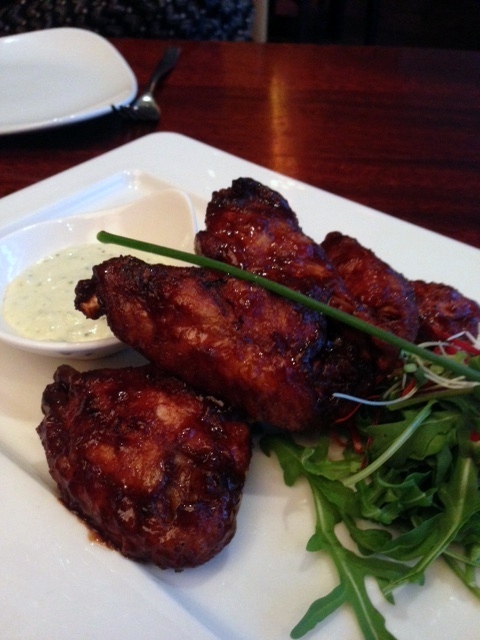 They were reasonably tender but there wasn’t enough sauce so they tasted a little dry. 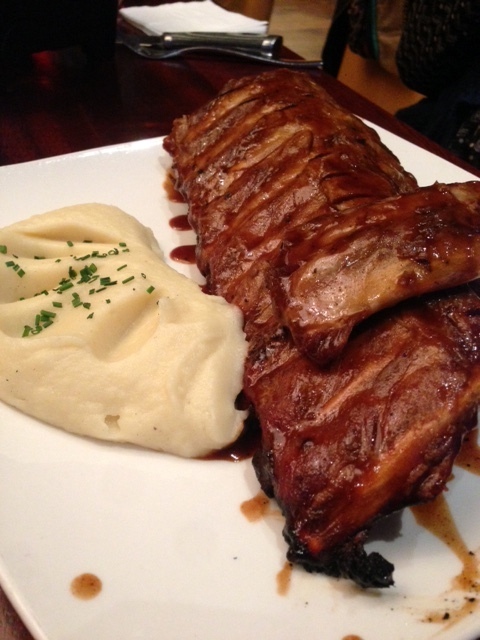 We chose mash potatoes to accompany the ribs and these were really good, being smooth, creamy and deliciously buttery. 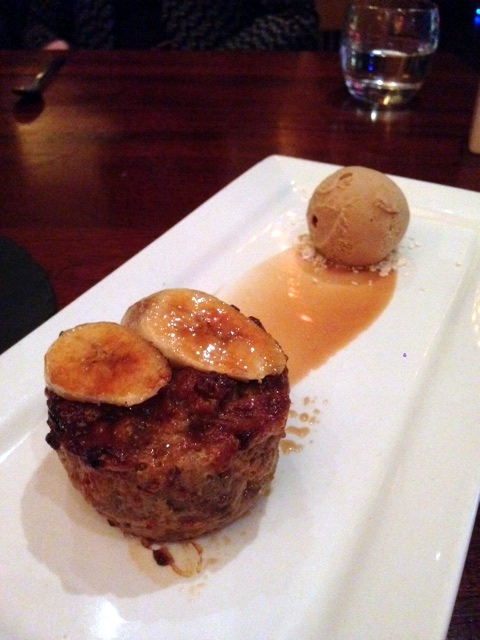 The desserts were a delight, with our favourite being the banana bread pudding (£7.25). This was a gorgeous dessert. 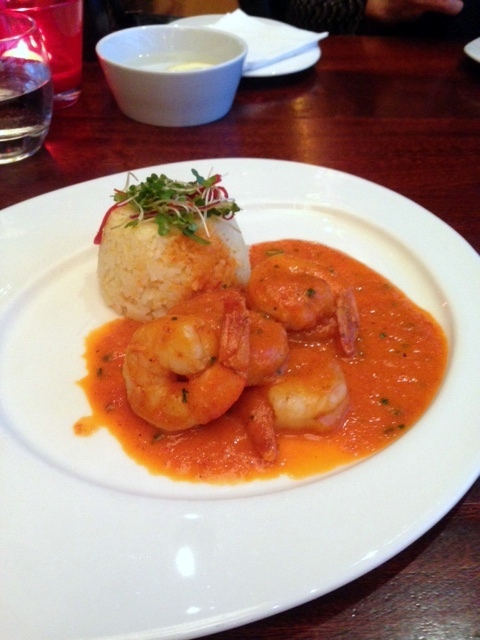 Served warm, it was moist and delicious with a gentle banana flavour running through it. 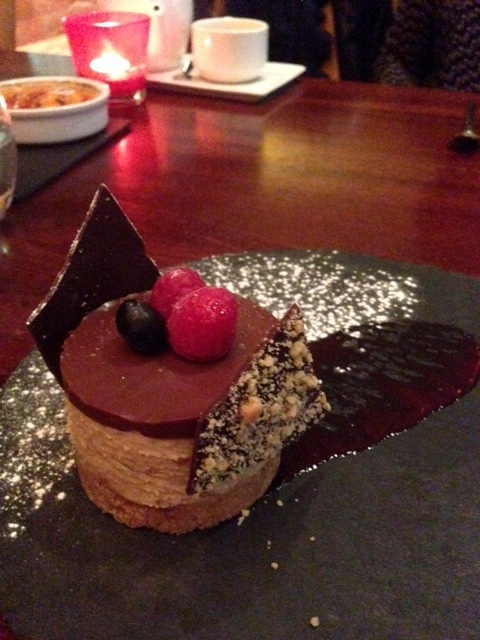 The peanut butter cheesecake (£8.25) was also a dream. It reminded us of a snickers bar, only better, with a crunchy base and a generous peanut and caramel flavour. This was very well made. We couldn’t fault the clementine brulee (£7) either. 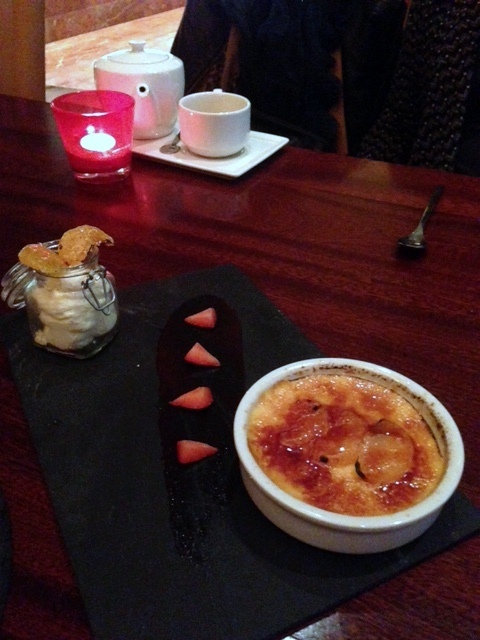 The brulee was creamy and delicate. Only a touch of clementine had been used so it did not over power the brulee itself. All in all, this was a very successful evening with our particular favourites being the calamari, the chateaubriand and the desserts. The Meat Co is an all-round decent restaurant with good food and thoughtful and friendly service. There’s a chilled out vibe to it which makes it ideal for everyone, including families. The steaks are a little pricey however, but the menu is extensive (about ten pages), so there is a little something for everyone, especially diners who eat halal. 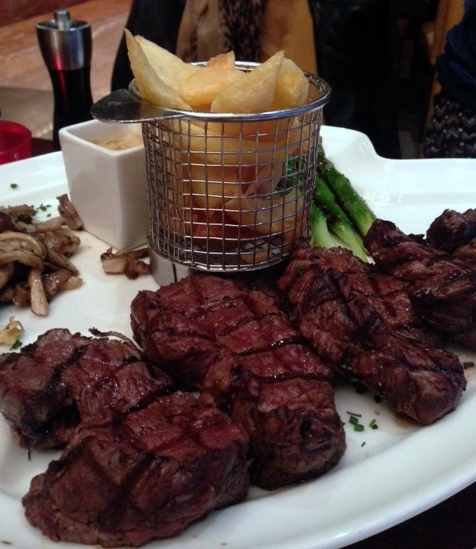 2) The chateaubriand was delicious but pricey. 3) The desserts were excellent. 1) The ribs were a little dry. 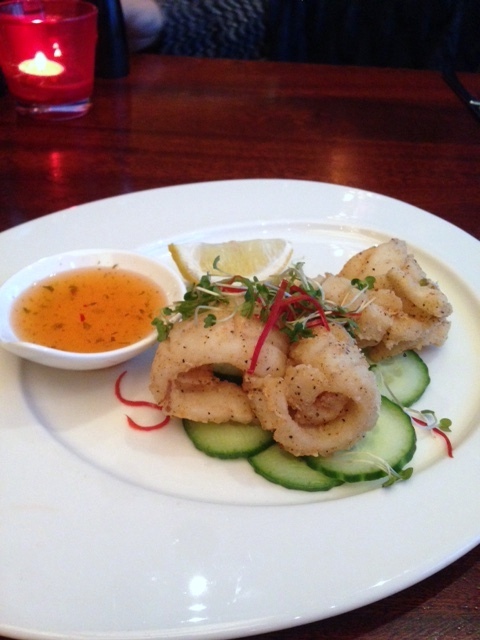 Average Price: £30 to £80 for three courses, excludes drinks and service.